Presented annually to the Division I college football player who has demonstrated a record of leadership by exhibiting exceptional courage, integrity and sportsmanship both on and off the field. The award honors the type of exemplary character and commitment to community, family and teammates demonstrated by Jason Witten, the 2012 NFL Walter Payton Man of the Year and one of the most prominent role models in the game. Nominees are gathered from the Sports Information Directors of each NCAA Division I football-playing institution. Three finalists are selected by the award’s board of directors, and the winner is selected by a panel of prominent former players and coaches, as well as members of the college football media. 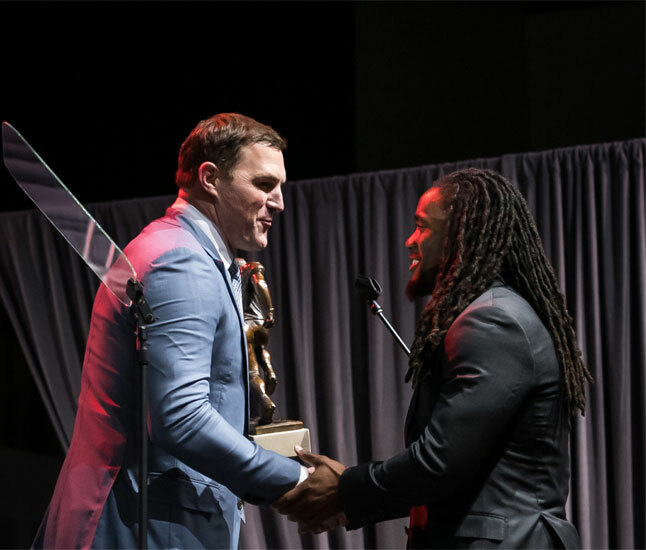 Jason Witten presents the Jason Witten Collegiate Man of the Year award to Wisconsin’s D’Cota Dixon. 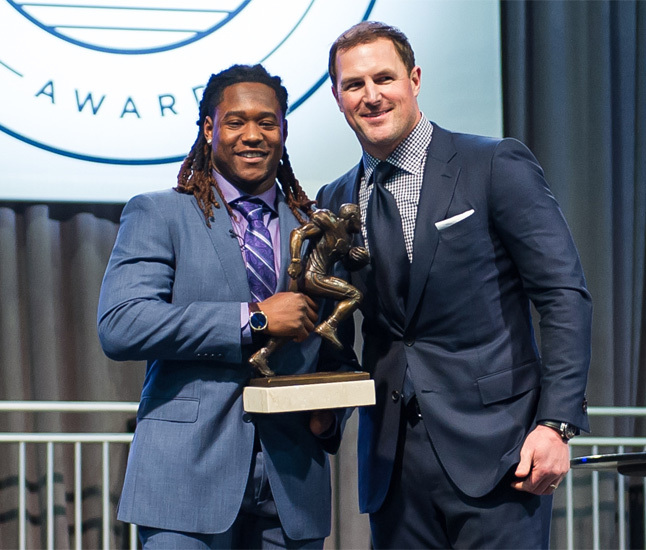 Jason Witten presents the inaugural Jason Witten Collegiate Man of the Year award to UCF’s Shaquem Griffin.